The unique cut of the majestic 8.23 carat -15.05 x 9.49 millimeter yellow sapphire is captivating. The rich, vivid golden yellow color is the most sought after. This gem originates from Sri Lanka. Its transparency is excellent and its purity is clean. The pendant features four invisible set princess cut diamonds (F-G color and VS clarity) accompanied by sparkling round brilliant diamond accents. The total diamond weight is .55 carats. 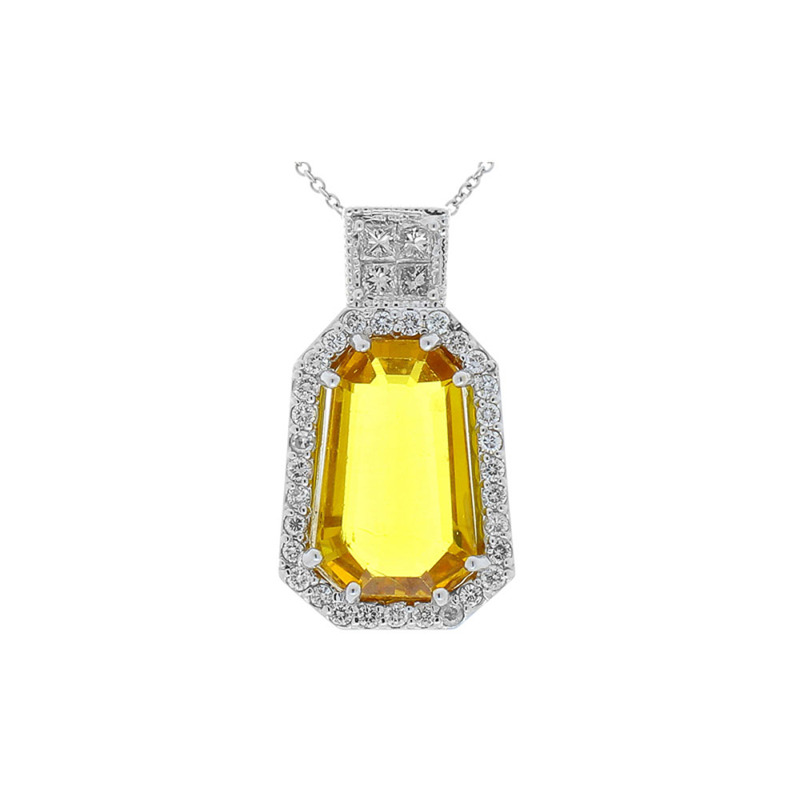 The pendant is fashioned of striking 18 Karat white gold and glides gracefully along the secure chain. The cut is truly unique.